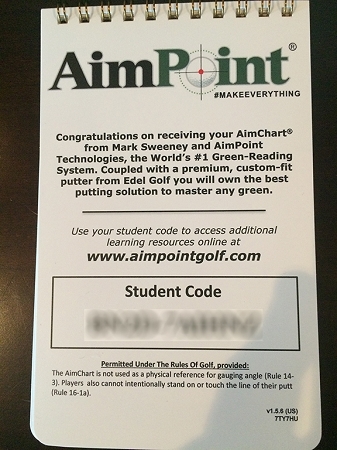 The patented AimChart will give you break amounts in centimeters on stimps 8-12 from 1.5 to 6 meter putts. This is used with the MidPoint Read to lookup expected breaks and requires instruction in order to use correctly. This chart is not necessary for the Express Read.